Carbon coated aluminum foil is kind of the aluminum foil that evenly coated with current-conducting nano-graphite and carbon particle. The carbon coated aluminum foil owns an excellent static electric conductivity, it can collect the micro-current of active substance, it is not only to significantly reduce the contact resistance between the positive / negative electrode material and the collector, but also increase the adhesive ability between both of them, thus to reduce the amount of binder and improve overall performance of the battery. 1. the carbon coated aluminum foil significantly improve the use consistency of battery pack, and significantly reduce the costs, it also significantly reduces the internal resistance amplification of the battery, as well as extend the service life. 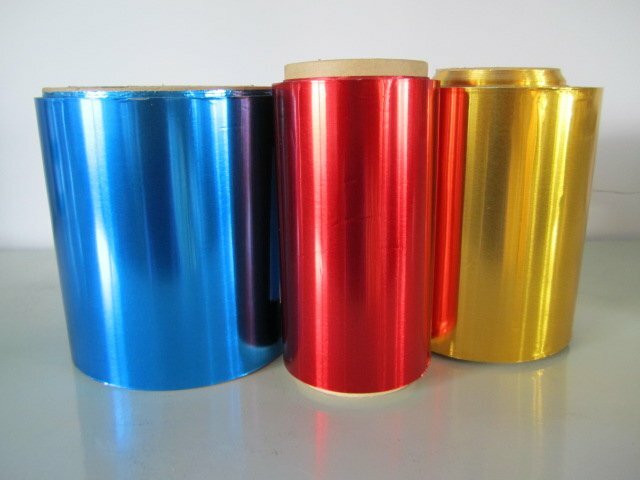 2. carbon coated aluminum foil increase the adhesive ability between active materials and current collectors, improve the adhesion of various cathode/anode materials and collectors, increase the percent of pass of pole shoe, as well as it reduces the manufacturing cost. 3. carbon coated aluminum foil reduce the polarization, improve the rate, gram capacity, capacity factor, and improve the whole performance of battery. 4. carbon coated aluminum foil can prevent the current collector from corrosion and oxidation, improve tension of the collector surface and enhance the coating properties of current collector.